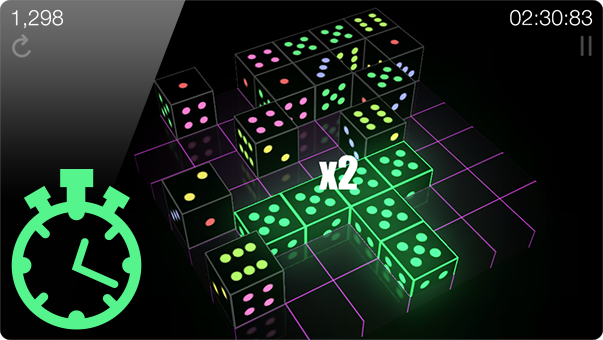 Dice Jockey is a simple and addictive puzzle game where you score by forming sets of dice with matching sides facing up. To score, you will need to form sets of two adjacent 2's, three adjacent 3's , four adjacent 4's, and so on. 1's can be used to complete any set and combos can be made by adding the right dice to existing sets. 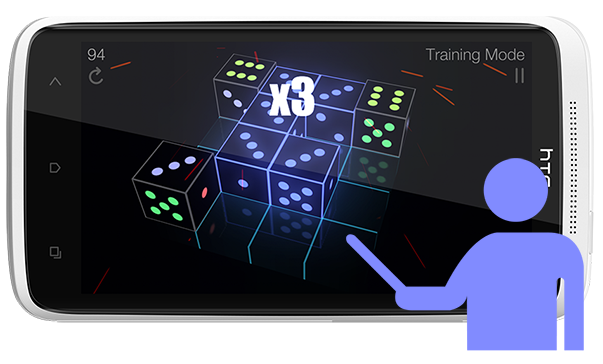 Challenge yourself to clear dice using the minimum numbers of steps indicated in each level. 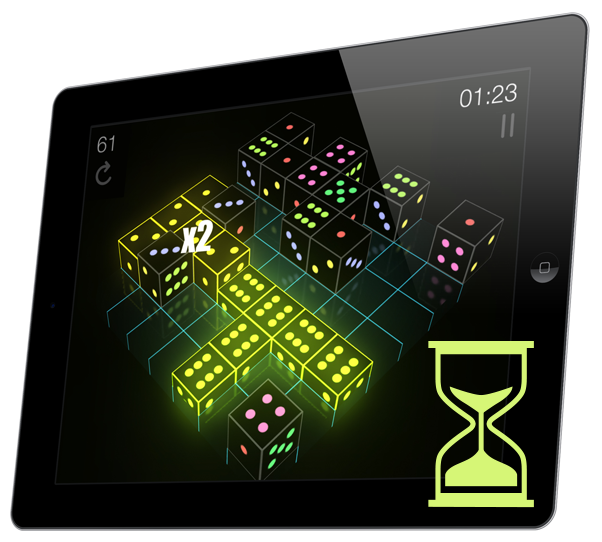 Race the clock and clear as many dice as possible in 2 minutes. The more your clear, the higher your score. Don't get left in the dust. 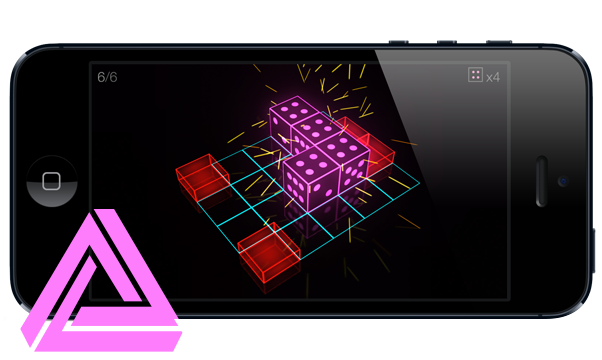 Clear as many dice as possible before the grid completely fills with dice. Remix your skills. Practice and improve your skills on a smaller game grid. 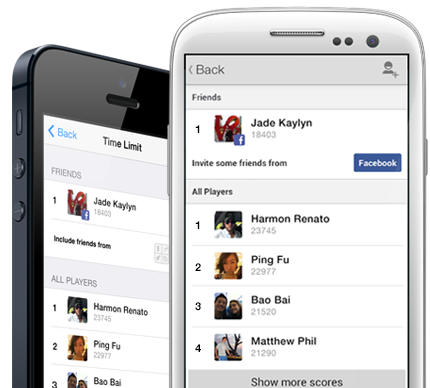 Dice Jockey's built-in Leaderboard tracks the highest scores worldwide and the scores made among you and your Facebook friends.